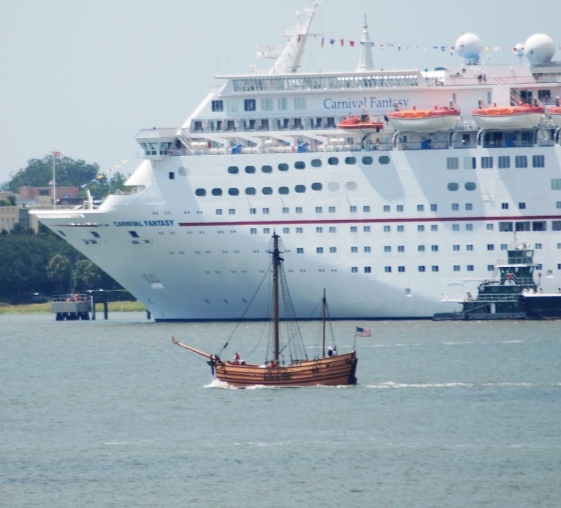 Carolina’s First Ship With Colonists: Adventure | Yorktown Aviator's Blog - "Call The Ball!" 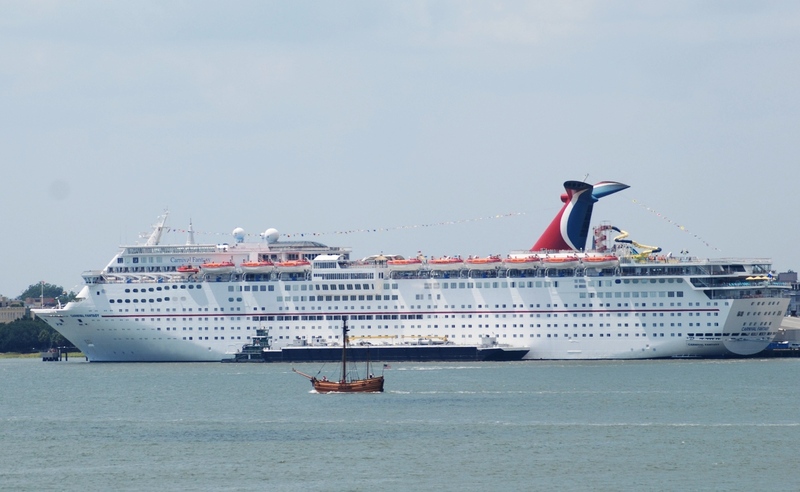 Adventure on her way back to Charles Towne Landing after a little work in the shipyard is here dwarfed by the cruise ship Carnival Fantasy. Lots of sights can be seen from the flight deck of Yorktown at Patriots Point…dolphins, manatees, alligators, C-17’s, Blue Angels, the Hunley…but today a replica of the proprietary colony of Carolina’s first sailing vessel could be see from our World War II aircraft carrier’s flight deck. Above is a replica of Adventure, a 17th century ketch that brought the first colonists to Charles Towne in 1670. 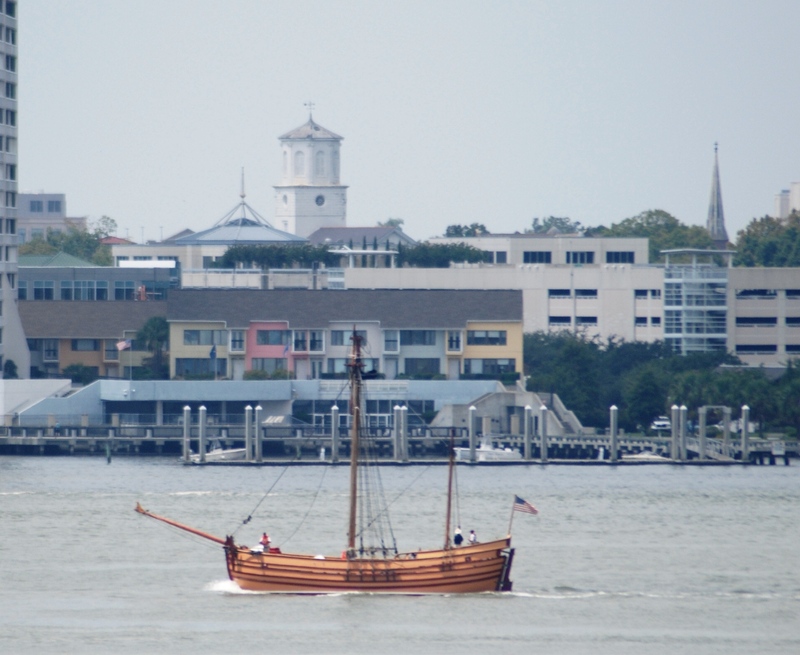 This is the second replica to be based at Charles Towne Landing State Historical Site and is built from the original plans by William Avery Baker, a Colonial ship expert whose credits also included the Mayflower II. If you watched the heavy weather videos last week (go here to see large waves), you might wonder about the courage and/or sanity of those first colonists who crossed the Atlantic to come to America! 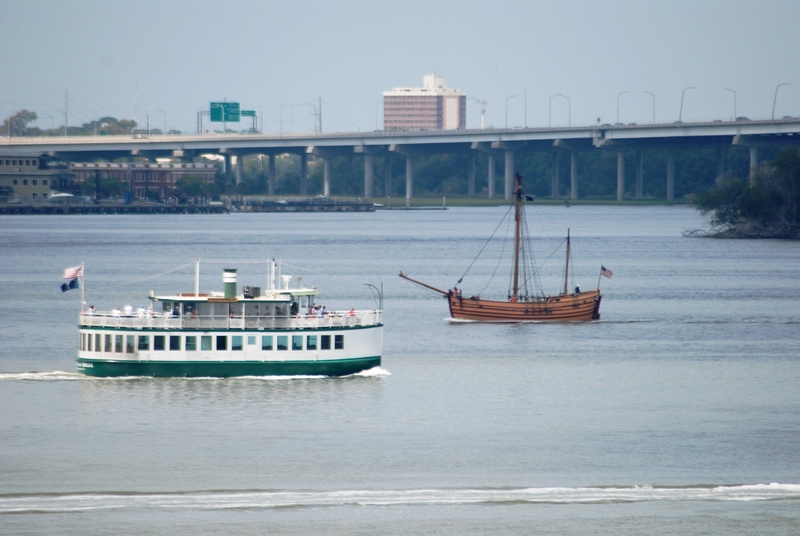 Below are several images of Adventure as she cruised from the Wando River through Charleston Harbor on her return to Charles Towne Landing. 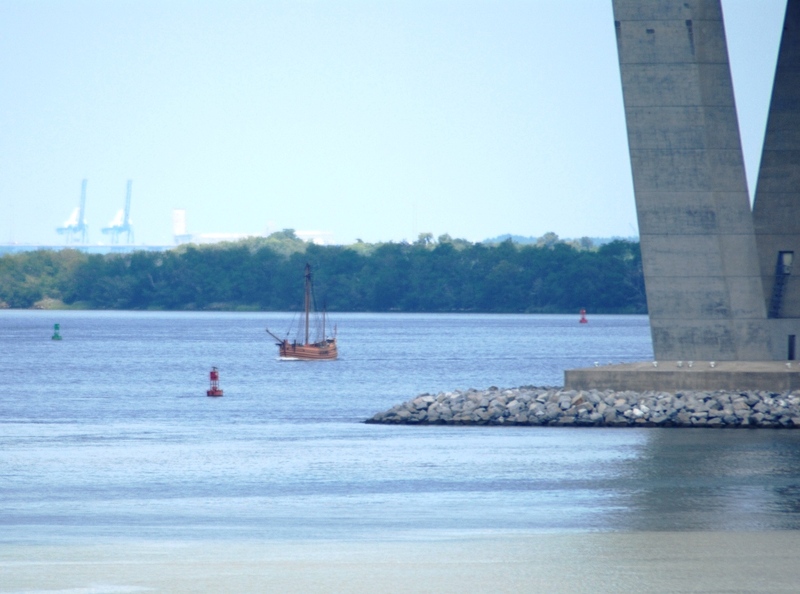 See Adventure for real at Charles Towne Landing…and come aboard Yorktown’s flight deck…you never know what you might see up here from day to day! 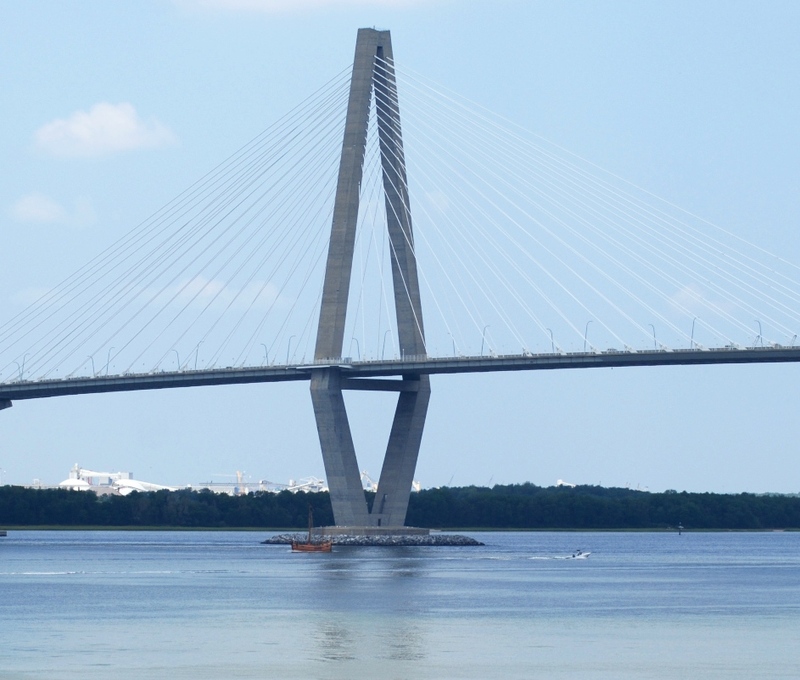 Adventure coming out of the Wando River approaching the new Cooper River Bridge. 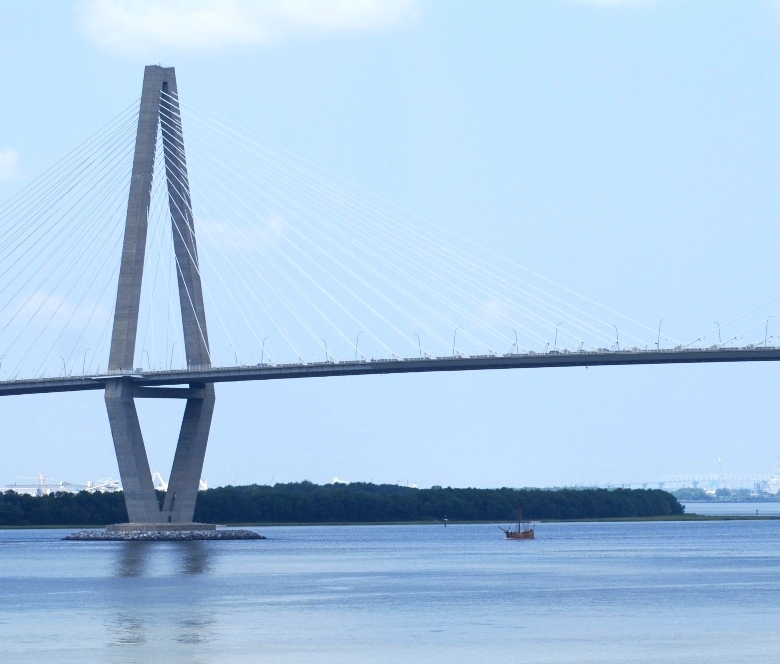 Adventure is no match for the size of our beautiful bridge! Adventure passing on the port side of one of our tour boats in Charleston Harbor, a different breed of passenger that she never saw! Adventure under the view of the Second Presbyterian Church's steeple and home church of the architect and father of Naval Aviation, Rear Admiral William Adger Moffett, United States Navy. Too bad we didn't have Adventure profiled by Yorktown, but to give you an idea here is her profile against the entire length of 855 feet (CV-10 is 888 feet). Thank you for sharing. I will read more about Adventure on the web. Very nice album.